Eric and I will be departing shortly for a grand adventure with Sherri and Phread. You see, Sherri and I reached a milestone this year – we celebrated our 40th birthdays. It was decreed sometime over the summer that we should do something fun to mark the start of our fourth decade. We leave today for Australia. Knowing we’d be ‘down under’ for the holidays, I shied away from my usual holiday treat baking extravaganza. Soon enough we’ll be on the beach in bikini and speedo weather! Despite our North American absence for the holidays, I opted to participate in a virtual event – the Great Food Blogger Cookie Swap. My next dilemma was to decide what to make… the rules are that the recipe must be new-to-me (ie. not yet seen on the blog). 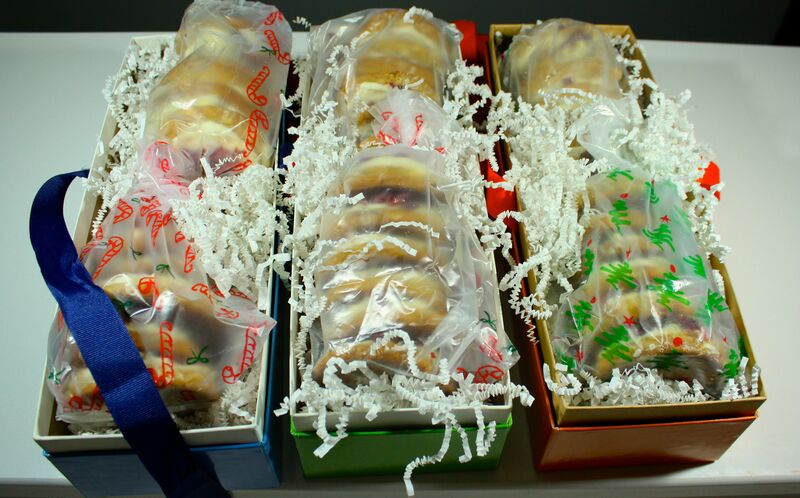 The concept of the swap is to send a dozen cookies to three other participating food bloggers. The treats must be in the mail by December 3rd. Each blogger then prepares a post on the item they shared. Finally – all is unveiled on December 15th just ahead of the mad-dash holiday cookie bake off. l thought quite a bit about my contribution – I wanted to find something special, something that would survive a postal trip, but most important – something that would impress. As the deadline approached I added something easy enough to whip up! to the list. Alas, I found the answer. 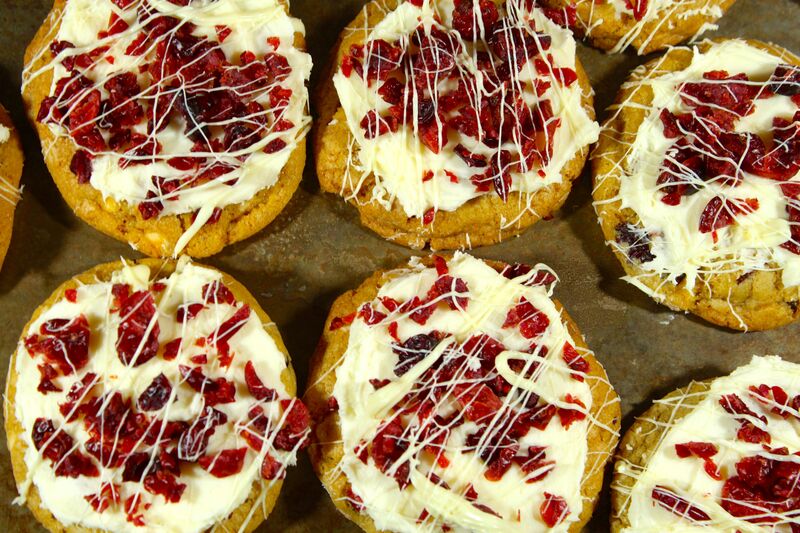 Something familiar, but decadent enough to feel special – the Starbucks-inspired Cranberry Bliss cookie. 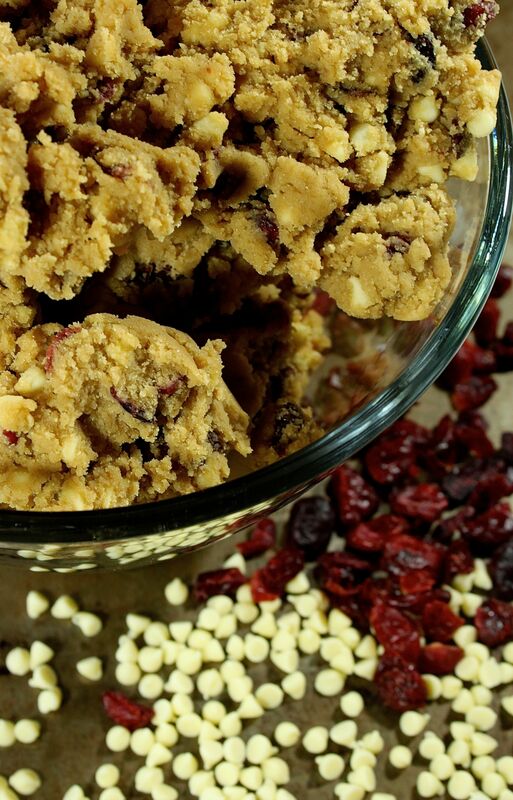 It is a typical cookie dough dotted with dried cranberries and white chocolate chips frosted with a cream cheese and white chocolate icing and topped with chopped dried cranberries and drizzled with melted white chocolate. On the last Sunday, I made the cookies, snapped these pics and mailed my three parcels off the next day. Just around the same time, my friend and fellow blogger, Martha, proposed to team up for a blog post. Martha blogs for Silhouette America and is a member of a design team. They are doing a secret gift exchange and her recipient LOVES chocolate. Martha asked if I had an idea of what she could make and package in a fancy box made with her Silhouette. I brought her a sample cookie – and the deal was sealed! Every few years, I come across a recipe that is a keeper – I would not be surprised if this one started to make an annual appearance. Ready to be chilled then baked! Preheat oven to 350 degrees F (175 degrees C). In a separate bowl, whisk together flour, baking soda and salt until well-blended. Set aside. Cover and refrigerate dough for at least 1 hour. Then place dough by rounded tablespoon-fulls onto a baking sheet that has been prepared with parchment paper, at least 2.5-inches apart. For perfectly round cookies, roll the chilled dough in your hands to make small balls. Bake for 10-12 minutes, or until the cookies are lightly golden around the edges. 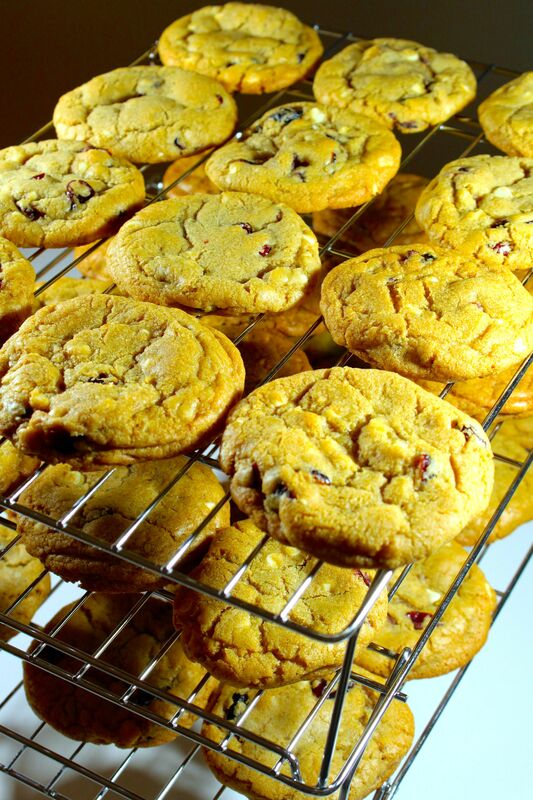 Remove pan, and transfer the cookies to a cooling rack until cool. Repeat with remaining dough until all cookies are baked. Wait until cookies reach room temperature before adding frosting and toppings. 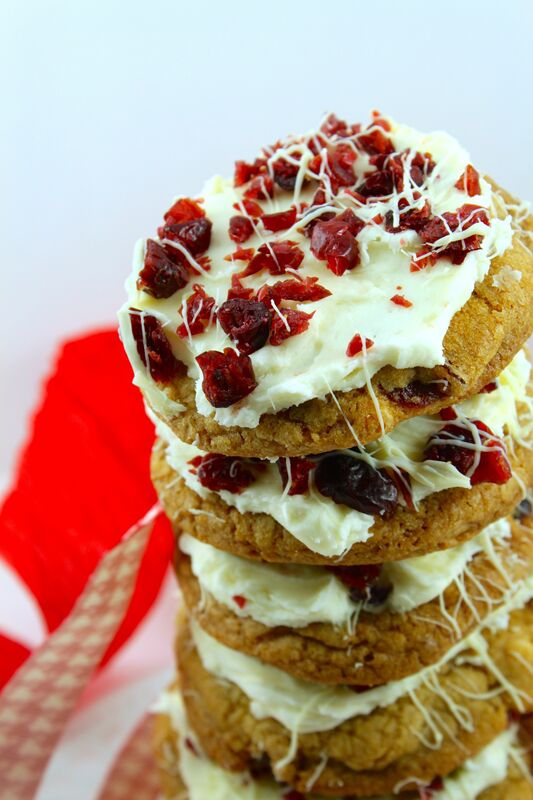 Using an electric mixer on medium speed, beat together the cream cheese and melted white chocolate until combined. (**Be sure that your cream cheese REALLY is at room temperature before adding the white chocolate. Otherwise the chocolate could seize up.) Add in the vanilla and mix until combined. Then reduce speed to low and add the powdered sugar. Mix until incorporated. Then use a rubber spatula to scrape down the sides of the bowl, and beat once more for 1 minute on medium speed until the frosting is smooth. You can add more powdered sugar for a thicker frosting. Spread the frosting on the cooled cookies. 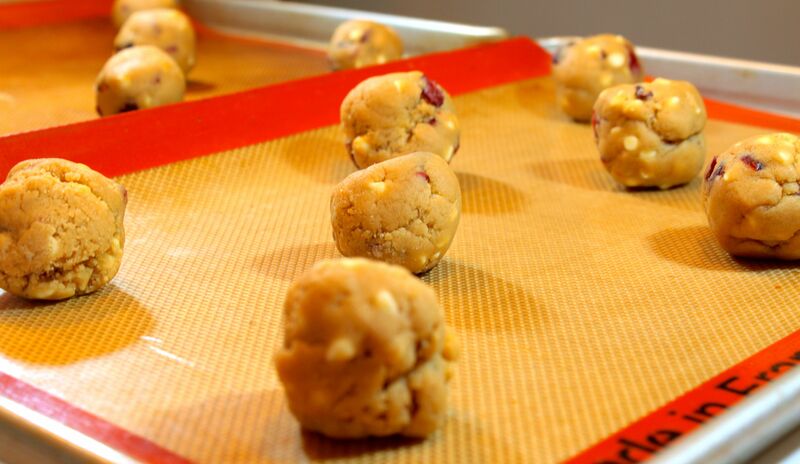 Then immediately sprinkle the frosted cookies with the chopped dried cranberries. 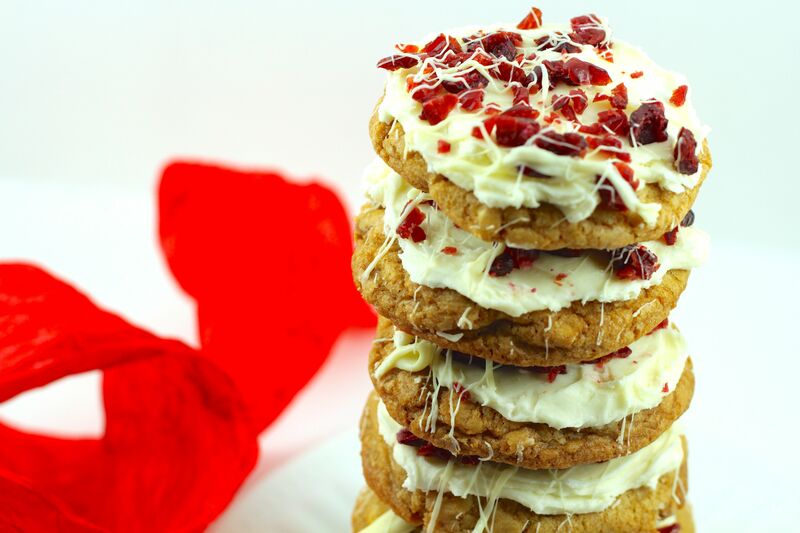 And use a fork to drizzle the melted white chocolate on the frosting, swishing it back and forth over the cookies. Bon Voyage! Hubby and I turn 40 in 2015 as well…can we come too? We actually still have our Permanent residence status so we really should make it back to Australia soon before they run out. Have fun down there!! Merry Christmas and Happy 40!!! !